This latest poll result published by Statista gauges the sentiment of Britons in the wake of the leave vote. 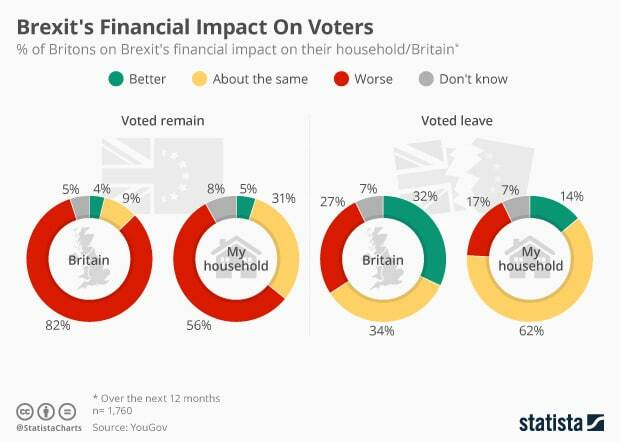 Apparently almost a third of those who voted to leave the EU think their country will be worse off… and close to 20% think they will personally be worse off. Yet they still voted to leave. A strong cultural undercurrent or do the Britons real think that money does not equal to happiness? Interestingly, 5% of those who voted to stay think that Britain will be better off by leaving the EU.